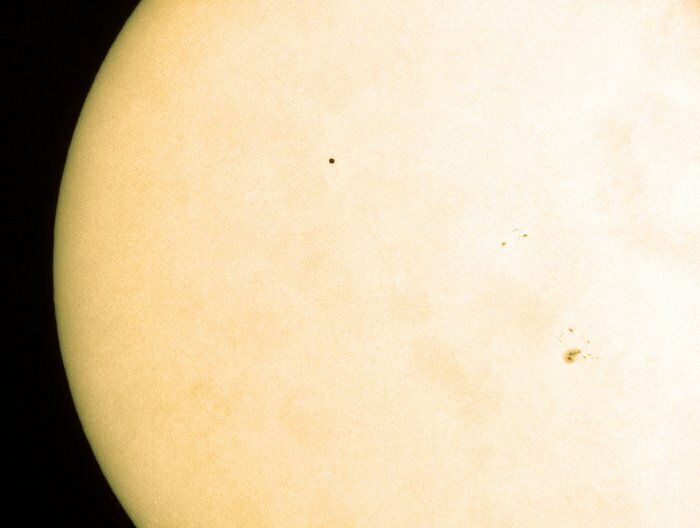 Occurring once every few years, a Mercury transit happens when the tiny planet passes in front of the Sun, blocking a small amount of light from reaching us. 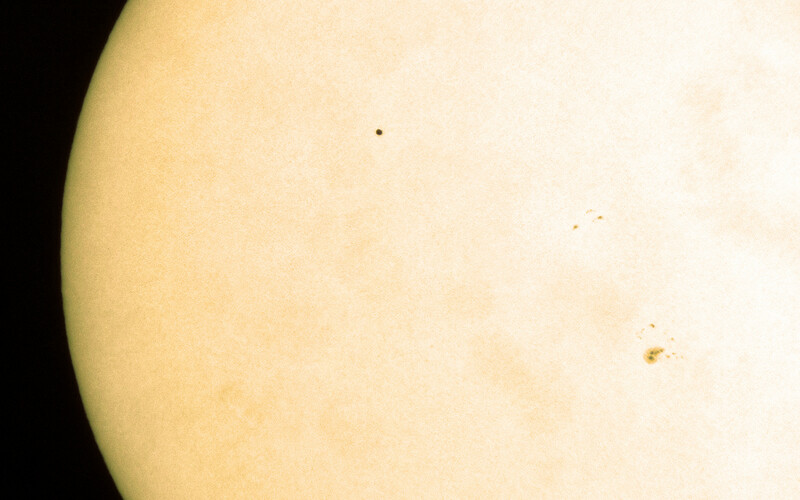 The almost flawless yellow surface of the Sun is blemished only by the black dot of the planet itself, and some sunspots to the bottom-right. 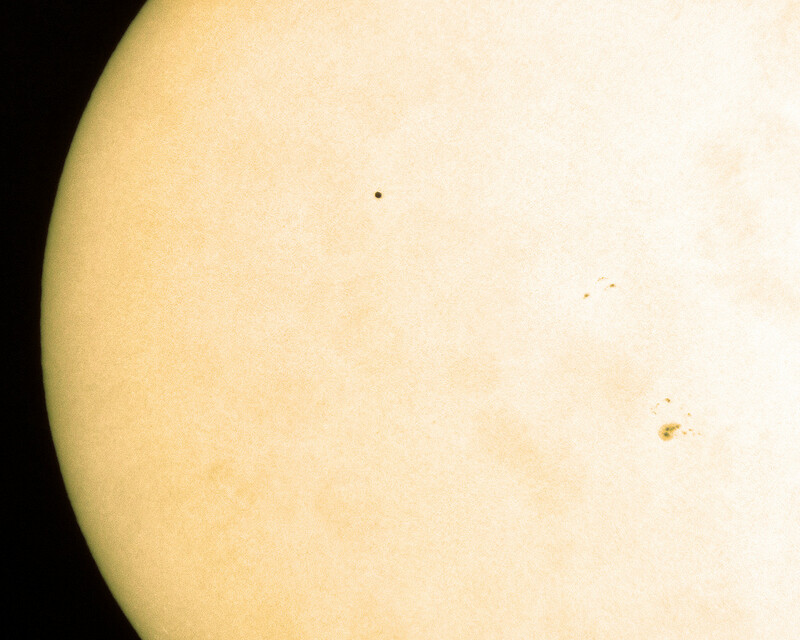 After another transit in 2019, there will be a long wait until the next, in 2032.